It’s difficult to be phased or emotionally moved when watching the news, especially since so much of it tends to showcase death, injustice and Donald Trump. When it was reported that a mass shooting happened yesterday in San Bernardino, California, it didn’t take long for Twitter to explode with people saying that gun laws are awful. So awful that according to The Washington Post, as of Oct. 1, 2015, in America there have been 294 mass shootings in the 274 days of 2015. In this statistic, a mass shooting consisted of deaths of four or more people, including the shooter. But where does the problem’s root lie? Why does this keep happening? People are killed every day because someone with a gun decided those people didn’t need to live anymore. Sometimes shooters have motives. A lot of the times they don’t. Smartgunlaws.org reported that Americans own an estimated 270 million firearms — approximately nine guns for every 10 people. That number has gone down since gun ownerships’ peak year in 1977. In 1977, 53.7 percent of American households reported having guns. In 2014, that number dropped to an average of 32.4 percent. NBC News then reported that most gun owners are white males over the age of 55. Getting rid of guns entirely might not work. If people really want to hurt others, they’re going to find a way. They’ll make a bomb, they’ll buy illegal firearms — it doesn’t matter. Requiring stricter gun training might not work either because future criminals could still participate in training programs. The problem lies in how guns are sold. Many guns are sold illegally, but even more are sold in areas that have particularly lenient gun laws. Americans can legally purchase firearms in over 40 states from “private sellers” without a background check. The law requires background checks only for guns sold by federally licensed firearm dealers. The background check includes a criminal, mental health and substance abuse history review. Dealers “not engaged in business” of selling firearms can sell them without conducting background checks or maintaining any records of sale. Those in favor of looser gun control often argue that these mass shooters are simply unstable individuals and that the real problem is mental health. Dubious as that line of reasoning may be, even if it were the case, would it not stand to reason that more in-depth background checks and stricter sales regulations are precisely the answer? To be blunt, if the standards to get a gun were raised, then people could be held more accountable for what they do with them. The editorial board that writes editorials consists of the editor-in-chief, the managing editor, the copy editor, and the news editor. These opinion pieces are written separately from news articles. They draw on the opinions of the entire writing staff and do not reflect the opinions of any individual staff member. 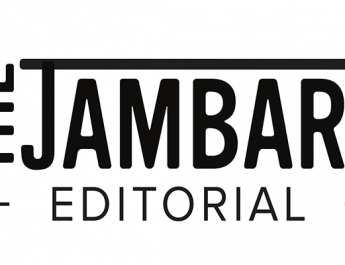 The Jambar’s business manager and non-writing staff do not contribute to editorials, and the advisor does not have final approval.